PARMA, Ohio- It was a nice showing early for the Chagrin Falls Tigers, whose offense decided to give themselves a comfortable lead early. The Tigers were taking on the Twinsburg Tigers in a quarterfinal match at Normandy’s Bruce Anderson Memorial Tournament. Chagrin Falls was able to get going quickly and in the end, it paid off. Cameron Lucas started the scoring at the 8:31 mark of the first period, slicing down the slot before beating Hannah Zochowski for the goal. Lucas’ teammate Ted Aerni followed his lead and scored just a minute after him to quickly make it 2-0 in favor of Chagrin Falls. A Joe Conway score at the 12:39 mark started to turn the contest into a runaway, as Chagrin Falls was clicking at every level of the game. It was gut-check time for Twinsburg following a Tyler Bookman goal just under two minutes into the middle stanza. They could’ve folded but instead found life in the form of two goals. Damon Bennardo got Twinsburg on the board with a marker at the 9:39 mark and Ryan DiRosa followed at the 11:01 mark with a score of his own. Twinsburg made the most of their looks, which wasn’t many due to the nature of Chagrin Falls’ defense. 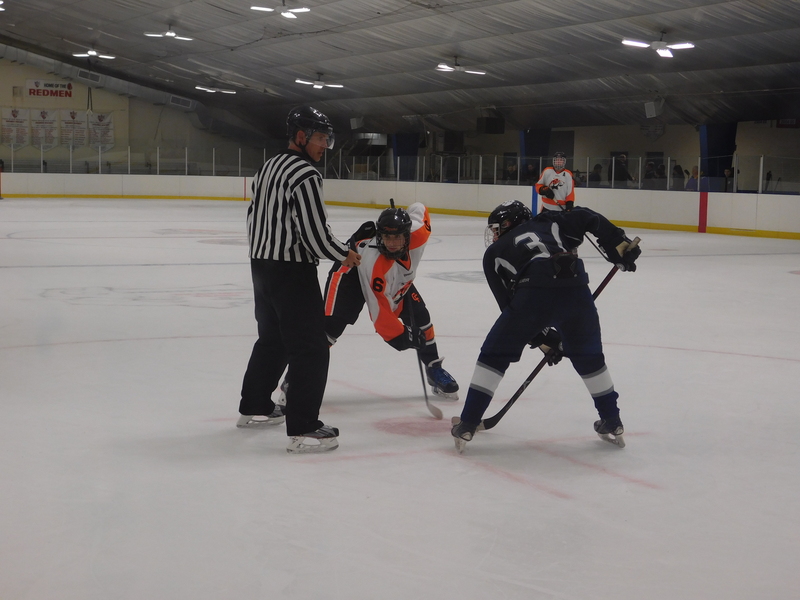 Joe Conway concluded the game’s scoring with his second goal of the day in the third period of play, as Chagrin Falls held on for the 5-2 victory to move on to the semifinals. Chagrin Falls’ Head Coach Jim Revak talked after the game about the inexperience of his team and his hope for them as the season progresses. Chagrin Falls will take on Brecksville-Broadview Heights on Saturday at 6pm.